The Nike Air Span II is back. Originally released in 1990, the cult classic is currently available in a short list of colorways. However, after a leaked F&F pair from early this year, it appears Patta is ready to add their own collaborative option to the list. Patta and Nike collaborations deserve your attention. When the Swoosh teams up with the legendary Dutch retailer, grails are created. Earlier this year, the shop teased a project with the footwear giant before later revealing it to be a Friends & Family exclusive. Their canvas was the Nike Air Span II, a cult classic running sneaker from the early 90’s. Needless to say, Nike heads went wild looking for information about a possible release. After no such luck, another special Air Span has surfaced online featuring Patta branding. The Air Span II is a simple shoe. As the follow up to 1988’s original model, the Span II was remarkably similar to the first, with a few minor performance upgrades. Beginning with a mesh base layer, the new Patta version colors these sections in an off-white or tan tone. Next, the central supportive layers around the midfoot are dyed a deep brown, finished off by maroon paneling for the mudguard and heel cup. 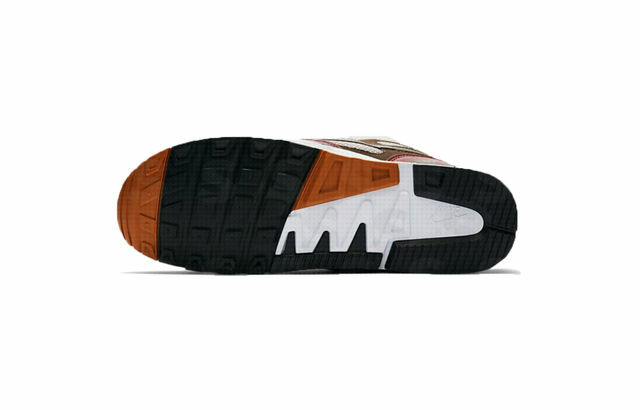 Finally, the dark upper sits on top of a white midsole and tricolor outsole. 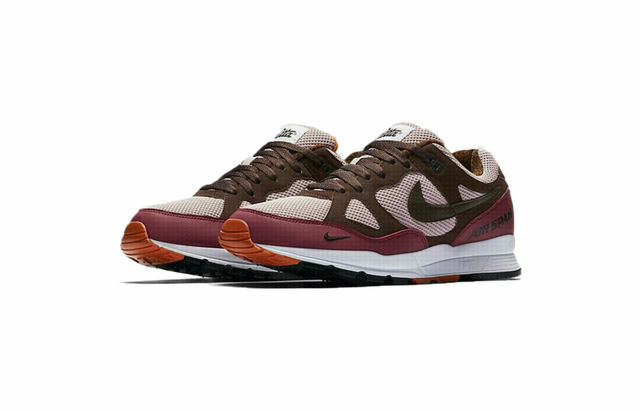 Patta and Nike’s collaborative Air Span II is said to be released worldwide soon. 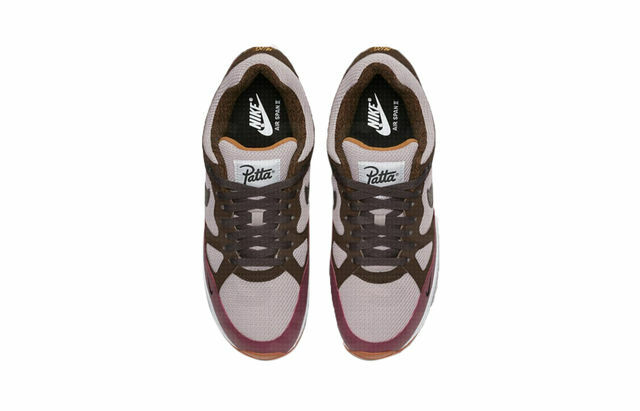 The standard price for the Air Spann II is $100, which is the expected price for this new Patta pair as well. 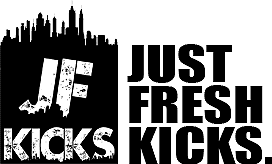 Check out some of the official images below for a closer look, and stay tuned to JustFreshKicks for a more specific release date.